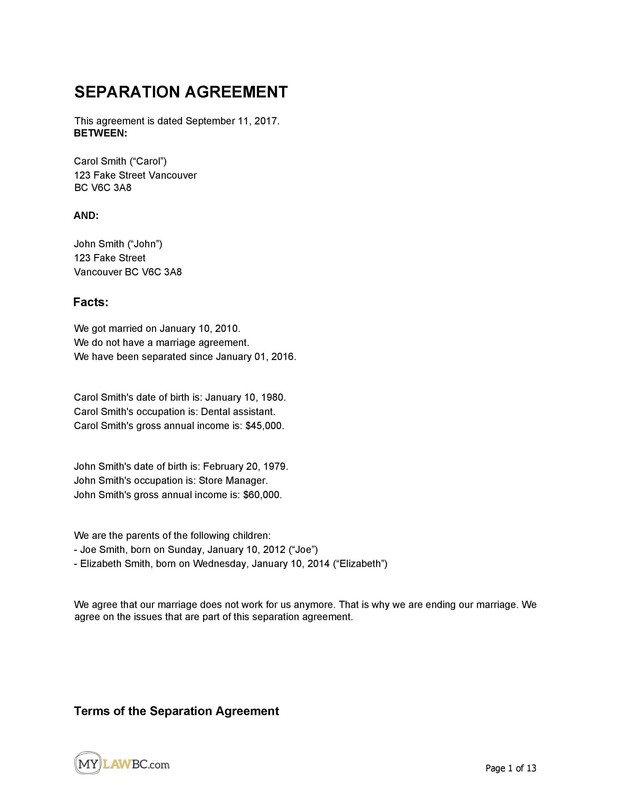 If you’re planning to separate from your spouse legally, you may need a separation letter. You can use this to come to a settlement in terms of assets, debts, child custody and more. 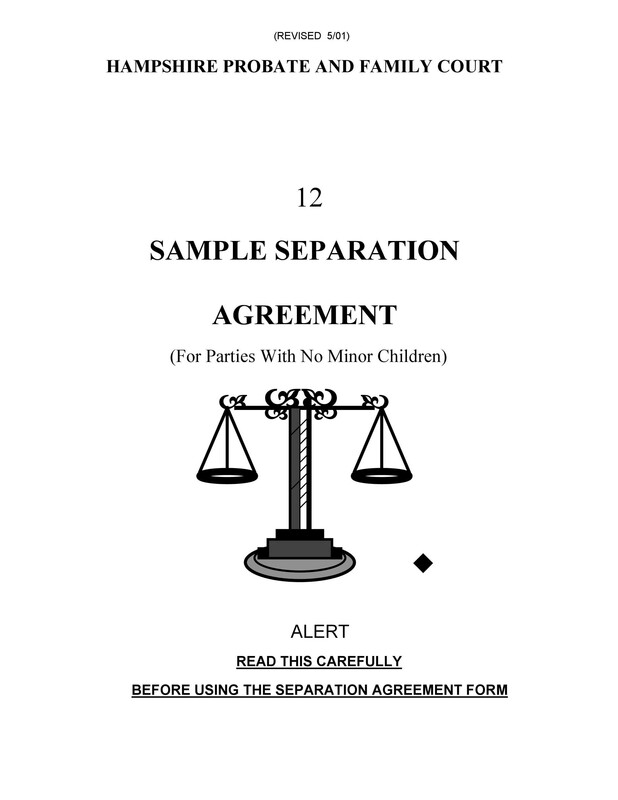 Use a separation agreement form to document how to handle all these things. You and your spouse are thinking of getting a divorce. With it, you can reach an agreement with your spouse. Decide on how to divide assets, liabilities, and responsibilities. 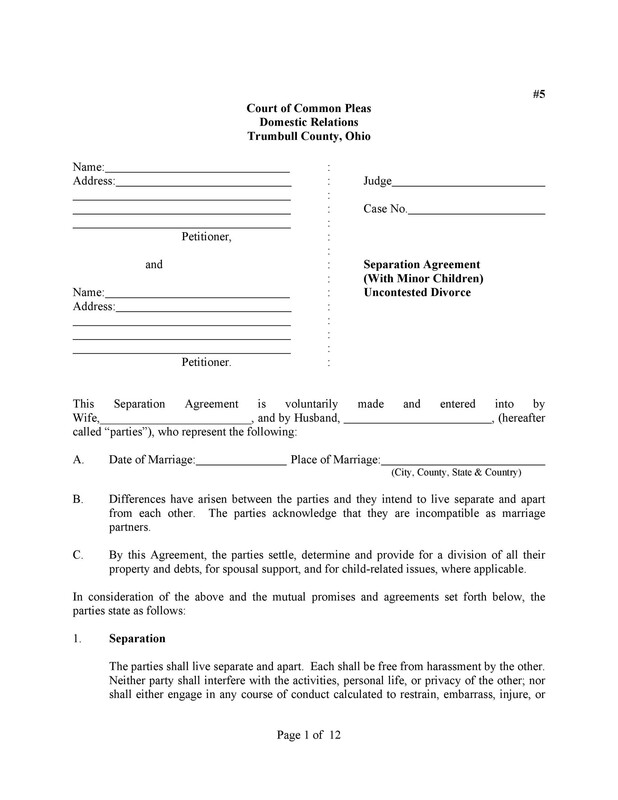 You and your spouse want to separate legally first before making a final decision. 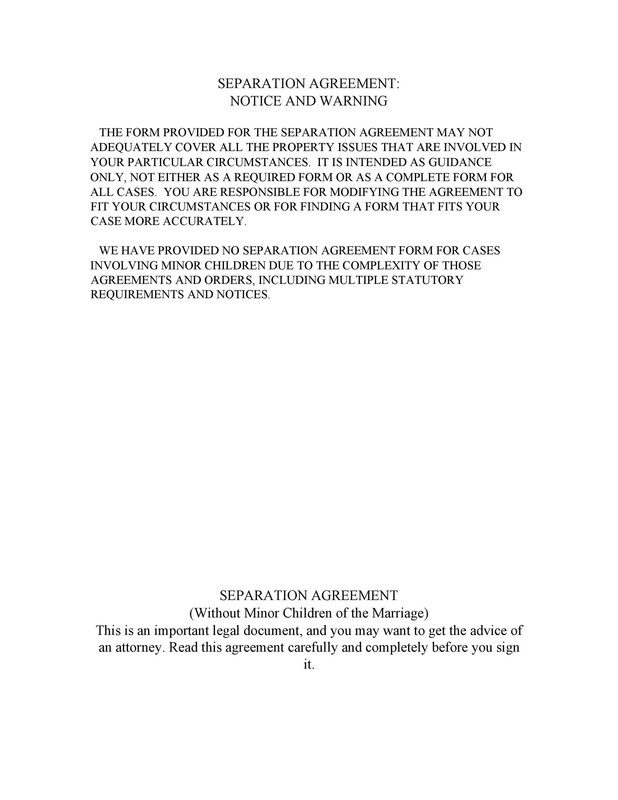 You’re thinking about legally separating. 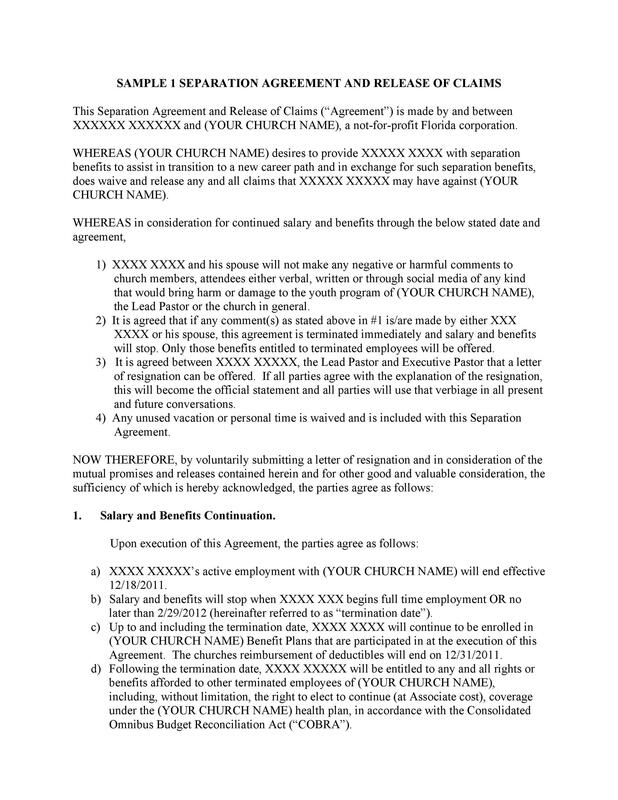 Then you’d like to set initial terms for your agreement. 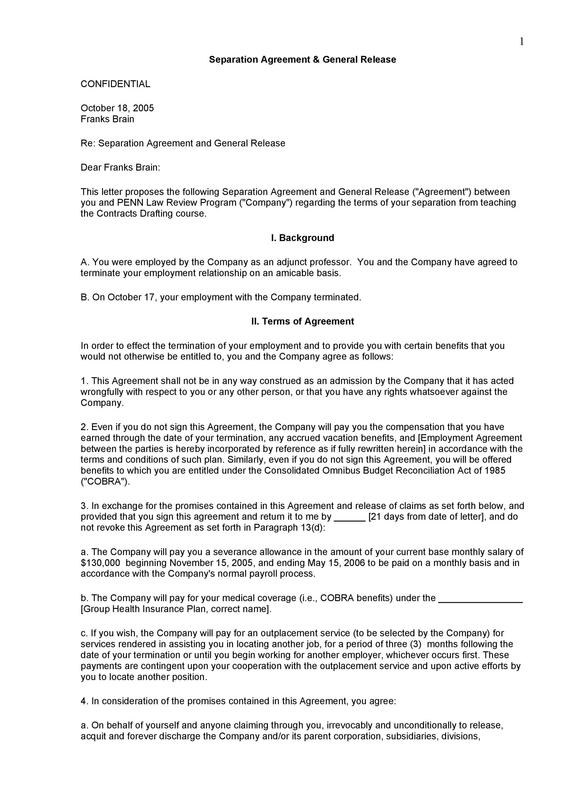 You’re planning to meet with a lawyer before legally separating. 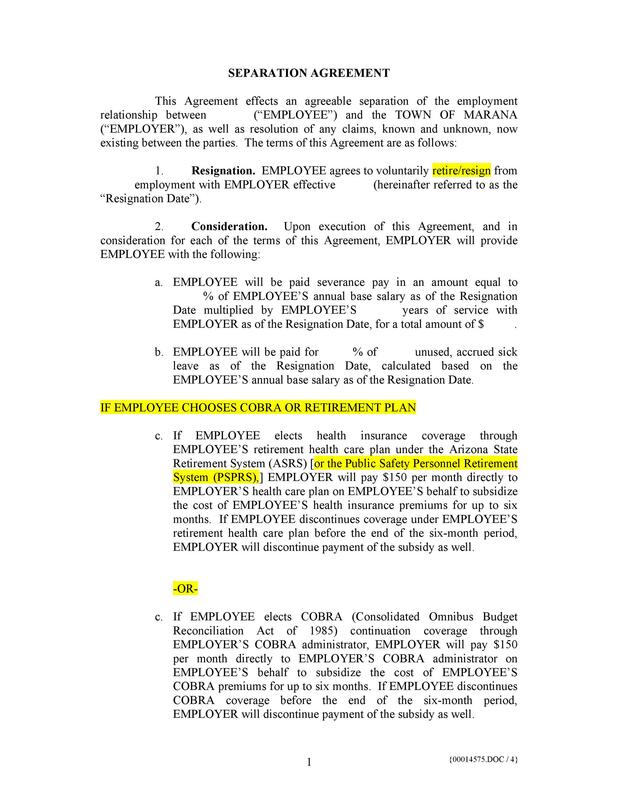 Create it as an outline for the division of assets, liabilities, and responsibilities. This document has different names. 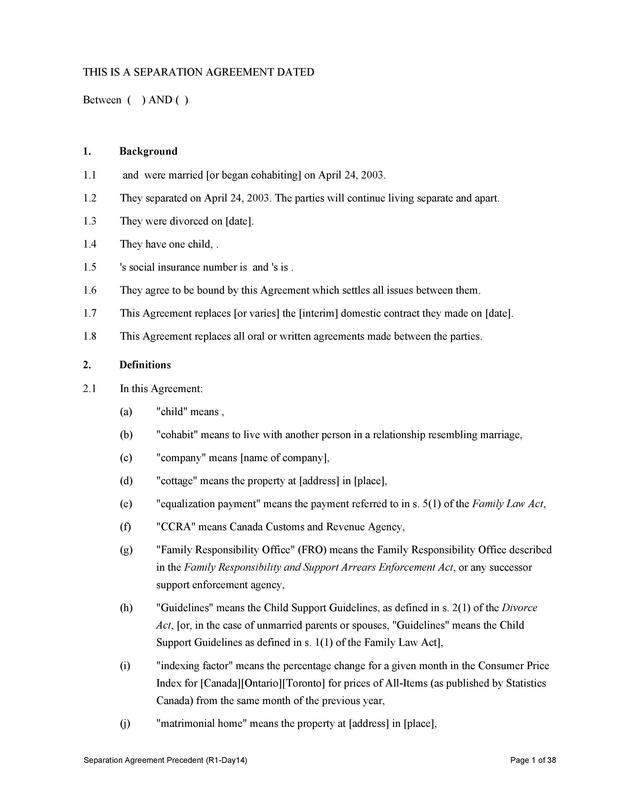 You can call it a marital separation agreement or a marital settlement agreement. You can also call it a legal separation agreement. 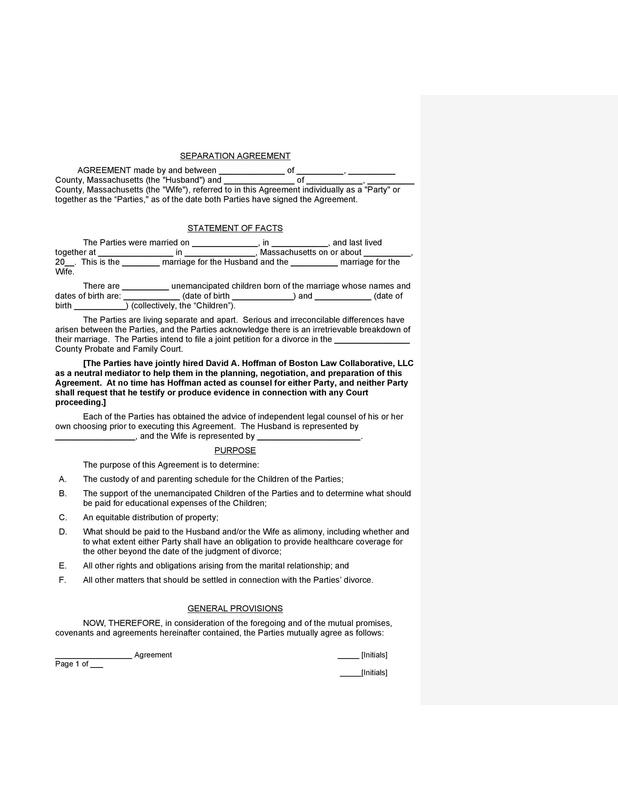 Before bringing your document to a notary public, make sure both parties have signed it. 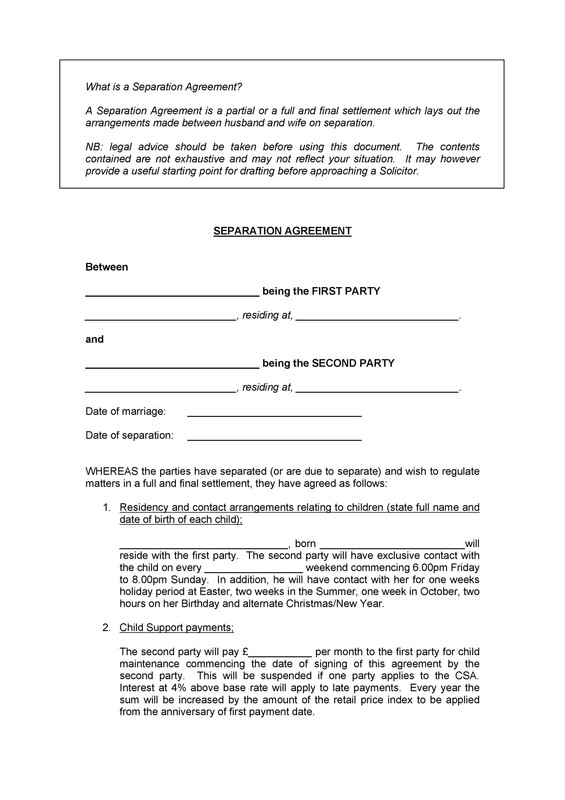 Then each party should also have a copy of the document that’s signed and notarized. 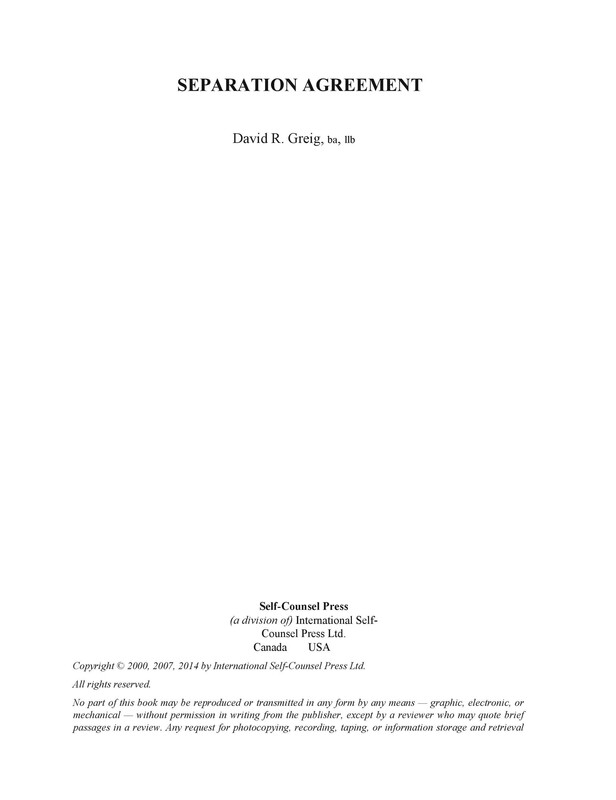 If you want to have a better idea of such document, you can download a template here. Couples who plan to separate legally have a lot to deal with. While in the initial stages, you don’t have to go to court to reach settlements. 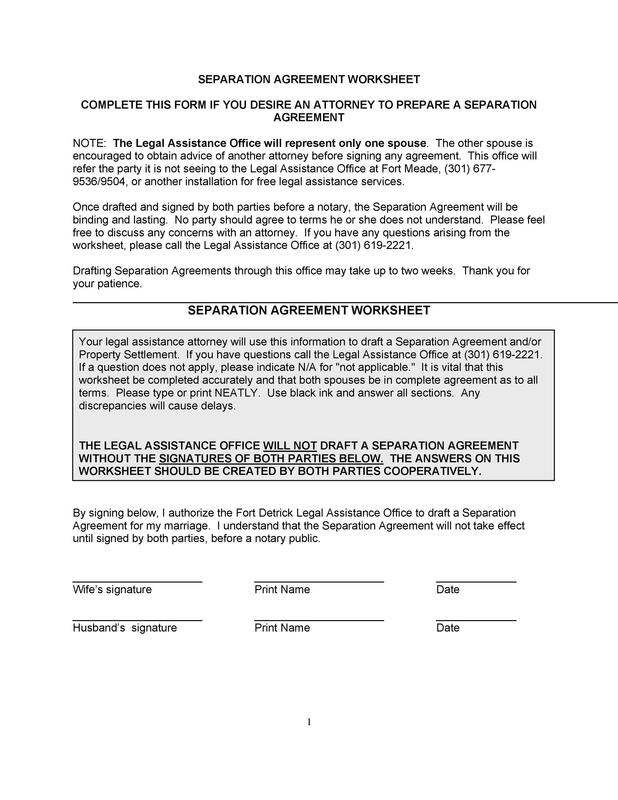 You can use a separation letter or agreement to outline all your terms. You and your spouse may talk about the division of your assets and responsibilities. After discussing, put it in writing. 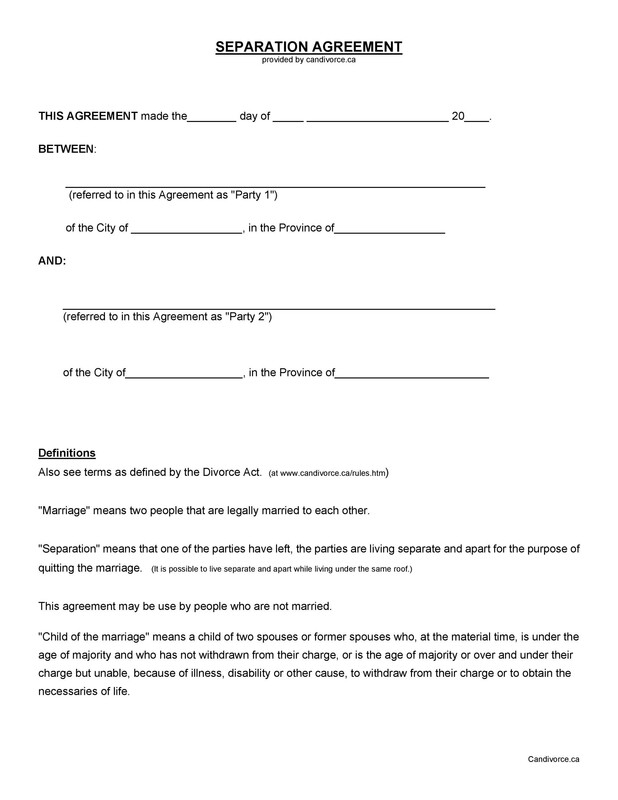 Separation agreement forms are all regulated under the Family Law Act. 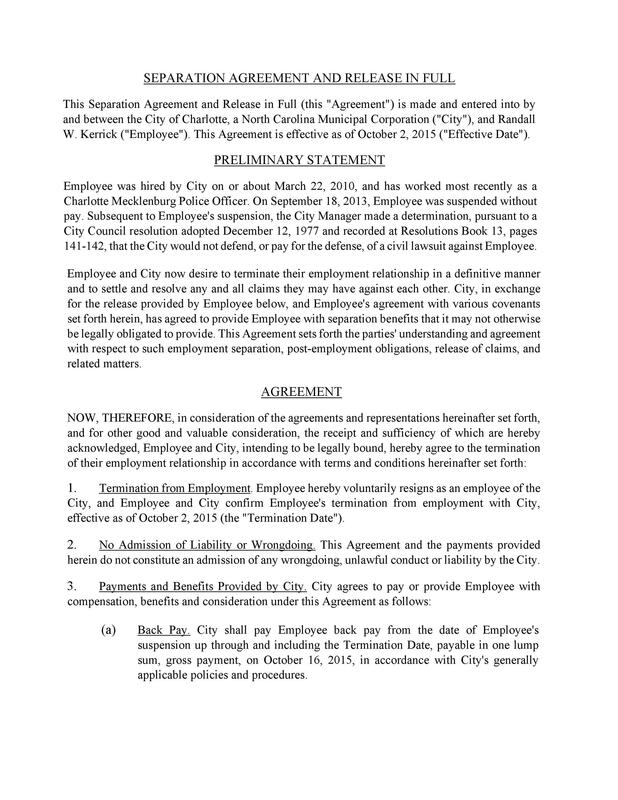 In the agreement, the couple should come to a consensus with regards to the terms of their separation. They need to create the document to make things clearer for everyone involved. 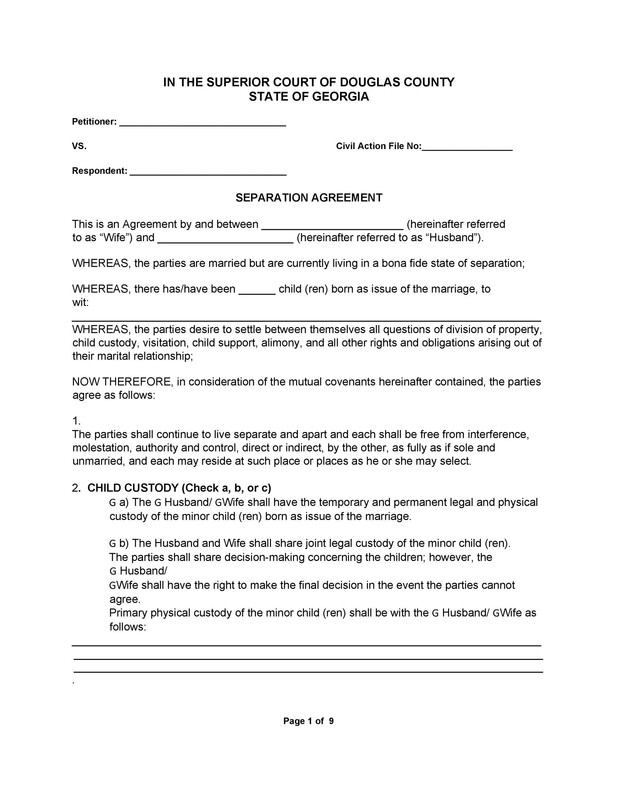 You and your spouse should decide who will get custody of the kids. Also, what would the schedule be for the parent who doesn’t get the custody? Talk about how much time the children will spend with each parent. You should also decide where the children will spend the holidays. Try to come up with a parenting plan to make things clearer. Also, specify what happens if one of the parents should relocate. Decide how you will handle this type of situation. 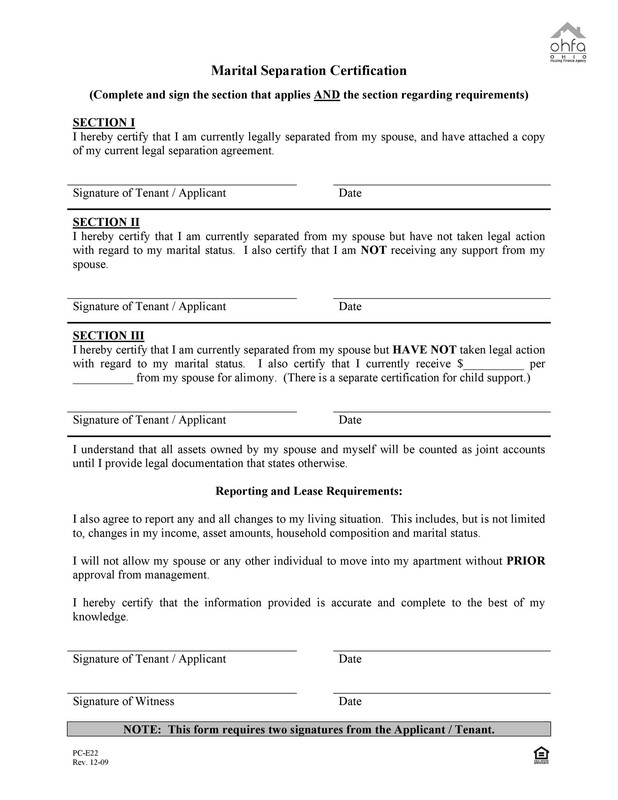 You and your spouse should set the basic amount of the child support. You can use the Child Support Guidelines in determining this amount. That is unless your child will spend an equal amount of time with each of you. You also need to think about any extra expenses for the child and how you’ll pay for them. For instance, consider the school expenses, special programs, and other activities. Specify exactly when the child support will stop. Also, specify what kinds of situations would result in a change in the child support payments. Aside from child support, you should also talk about spousal support. Make clear if there would be any spousal support given by one spouse to the other. If so, what would the amount be and for how long should the support last? If one spouse waives the spousal support claims, indicate the reason for it. 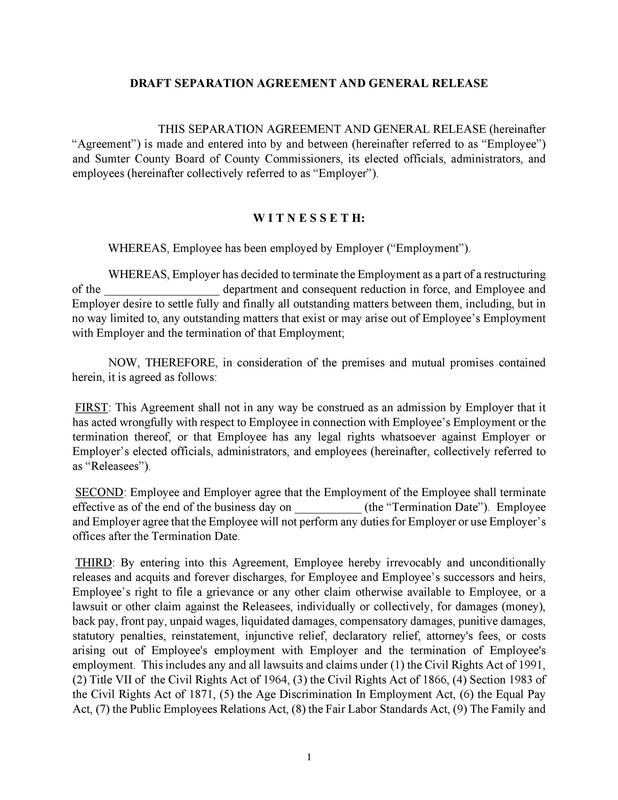 You may also indicate special circumstances which would lead to the change or termination of the support. Another thing you must include in the template is the resolution of disputes. Establish how you will deal with issues and disputes in the future. This is important in case there are any issues in the future and you can’t agree on the solution. Set an arbitrator or a mediator to help with the problem if you really can’t agree on the solution. When you have children, it’s important to cover all bases. You and your spouse should help maintain the medical and dental plans of your children. Also, decide how you will divide the payment of medical and dental care when needed. If you have life insurance policies, you may keep your spouse as your beneficiary. Either that or make your children the beneficiaries. In any case, you should also discuss this and make it part of the document. 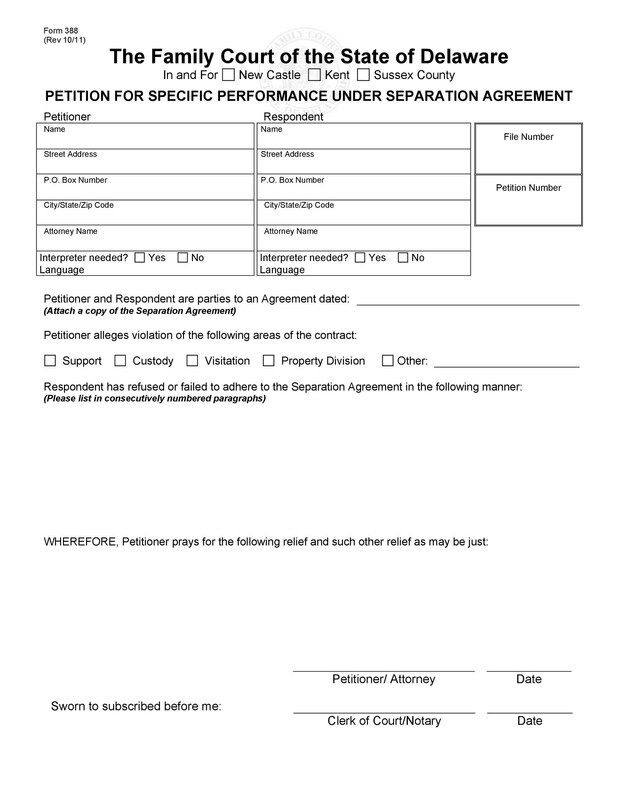 This is an important part of the separation agreement form. Specify how you will divide the net family property. Consider how you will pay the equalization payment, as installments or as a lump sum. The spousal support and division of property may intertwine. 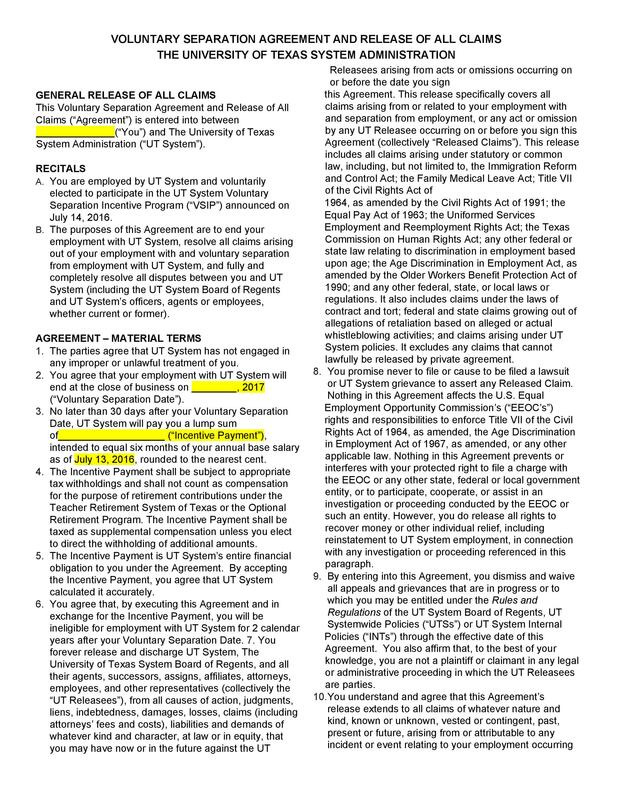 Just make sure to specify all the terms of the agreement. If you own a home where your family resides, you need to decide what you will do with it too. If you sell it, indicate the shares each spouse will get. If you won’t sell it, indicate who will live in the home and pay for its maintenance. One spouse may also choose to buy the other one out. No matter what your decision is, include it in your agreement. This is another important part of the agreement. If you have any debts an liabilities, indicate how you will divide them. You shouldn’t stop paying your debts just because you’ve separated. Also, include any information about pensions of you and your spouse. 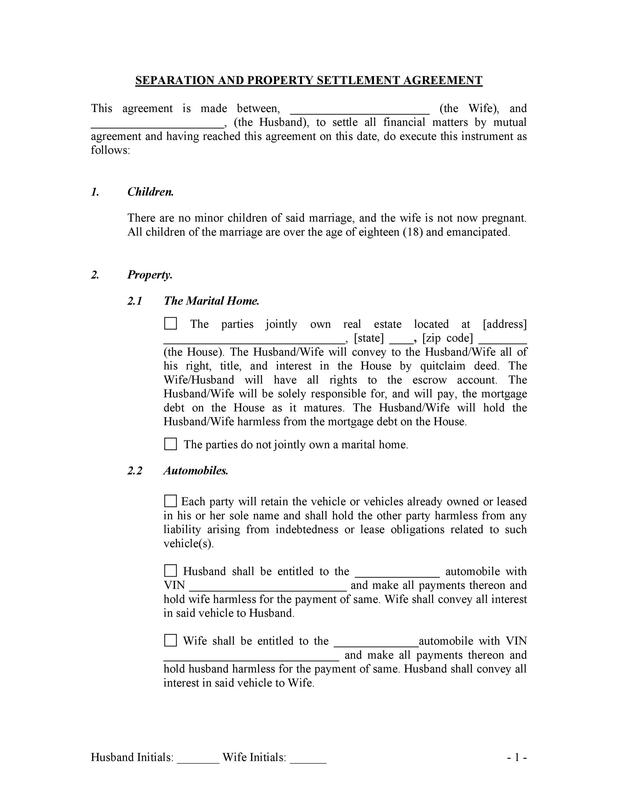 Any two legally married people living separately can enter into such an agreement. In it, they will mutually agree on their responsibilities, rights, and more. 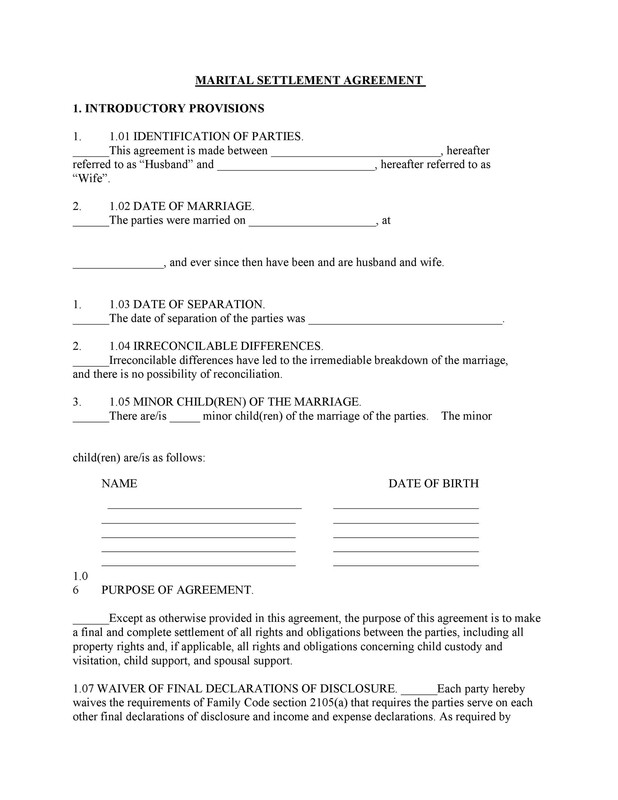 This document will help you separate from your spouse while you’re still married. So it’s very important to know the duties and obligations you’re legally bound to do. 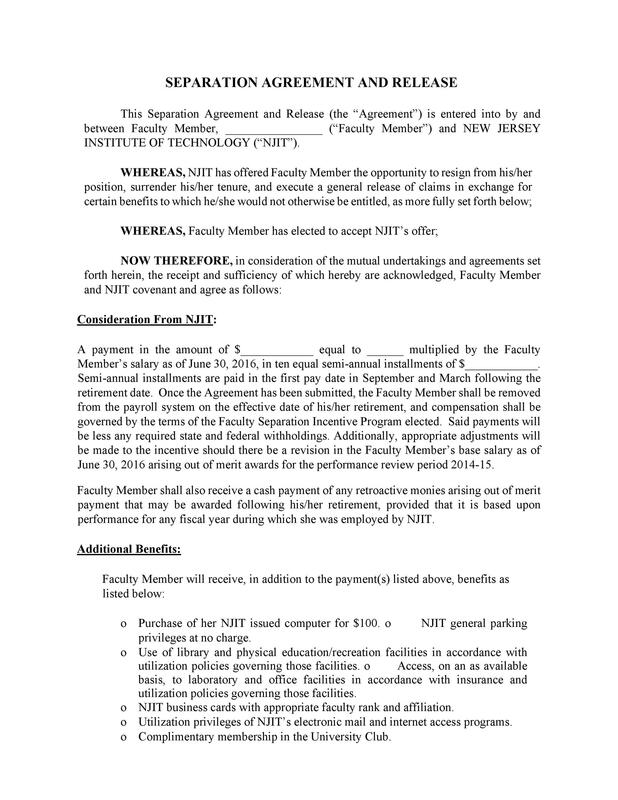 You can download a template of this agreement here. It contains all the essential information needed in the agreement. It also contains all the other general guidelines and provisions. The important ones involved in your separation. If you don’t want to download a template, you can also make one for yourself. 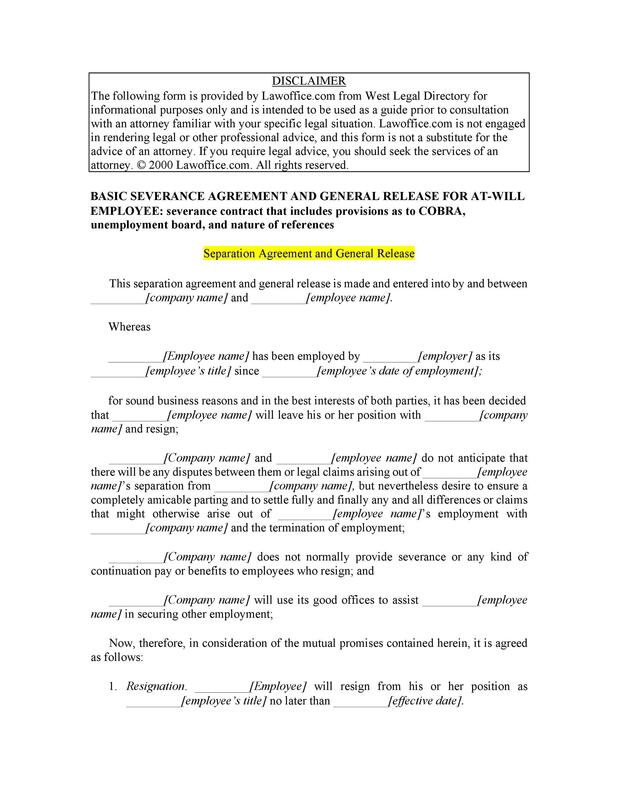 Once you’ve finished making the template, just enter the terms of your agreement. 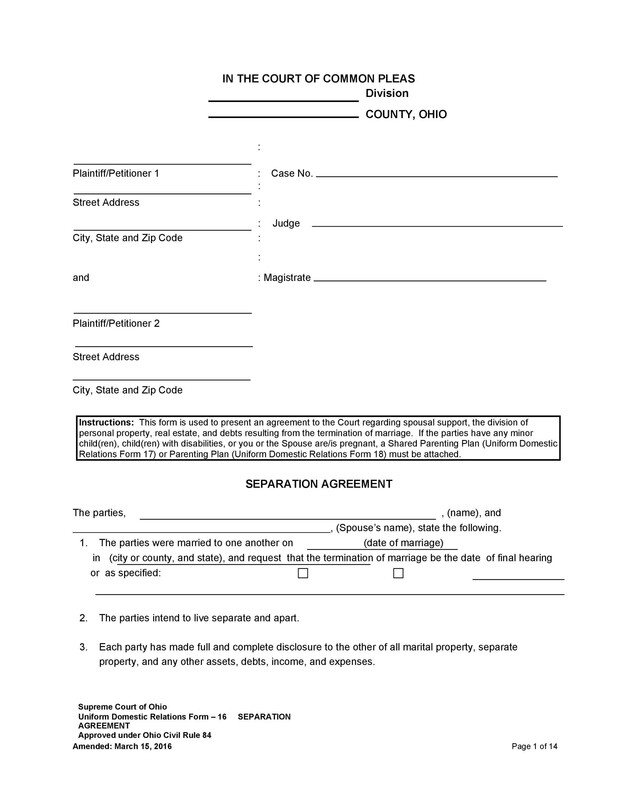 Also, keep in mind that you have to let both parties sign before having it notarized. 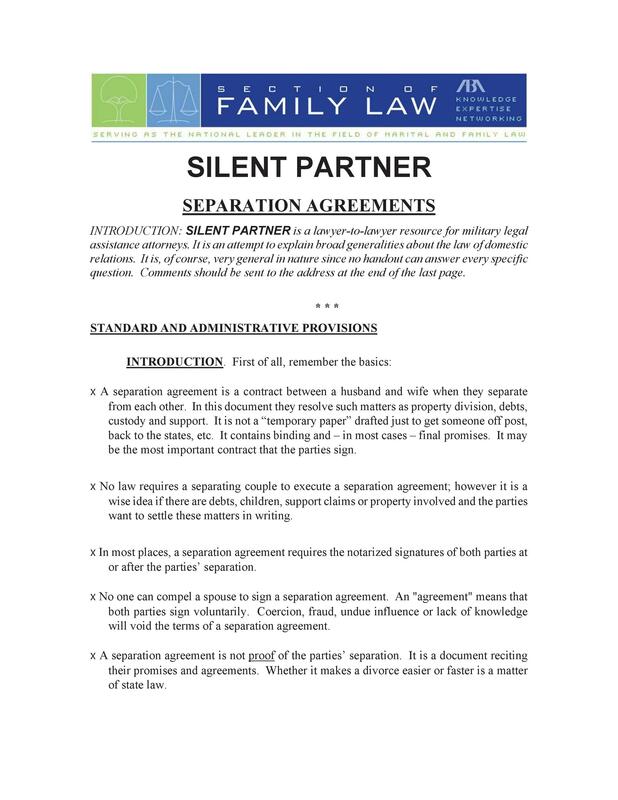 Other types of templates of separation that you can use are such as Relationship separation, Separation agreement and property settlement, Separation and release, Severance separation, and Silent partner separation. As you can see, you can make templates for different types of separation. 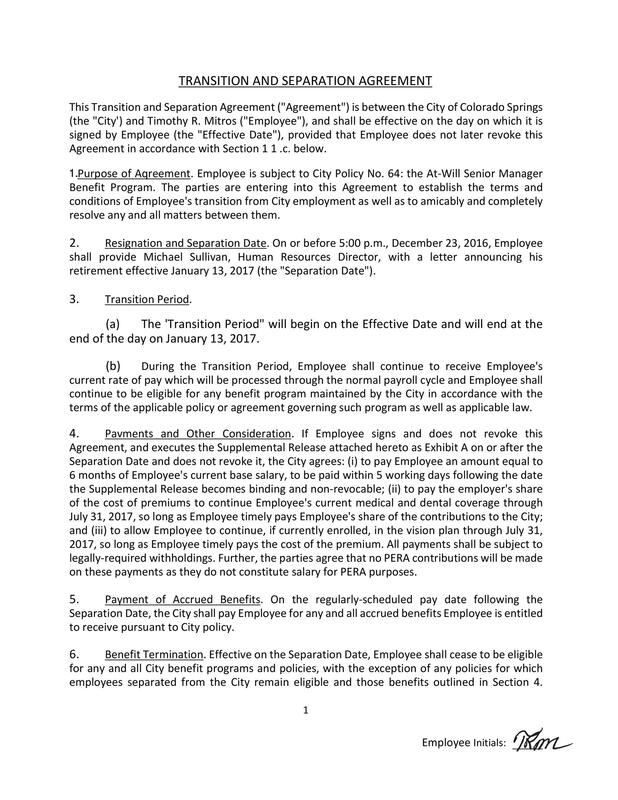 If you want to make the agreement more specific, read on what guidelines you should include. The most important thing is that you and your spouse should agree on everything. 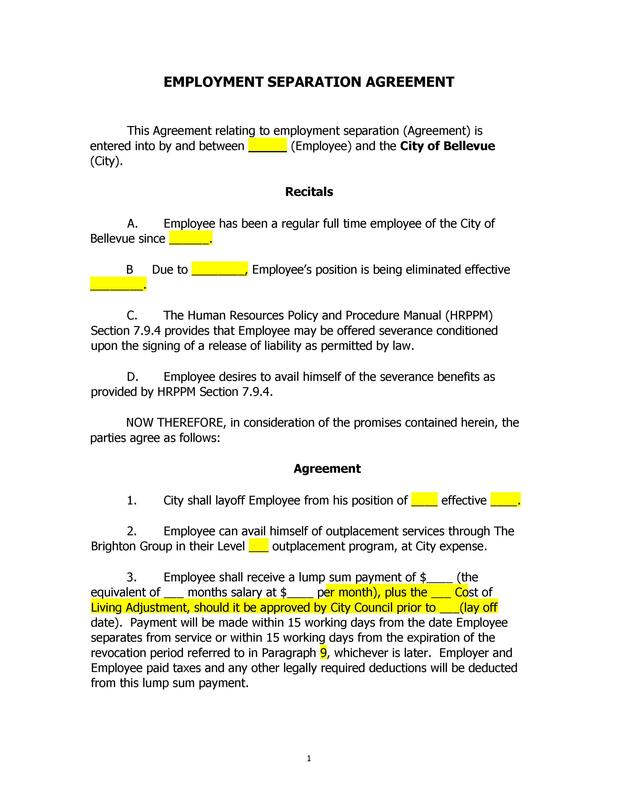 Agree on the terms first before writing them in the document. This is especially true if your relationship is already strained. 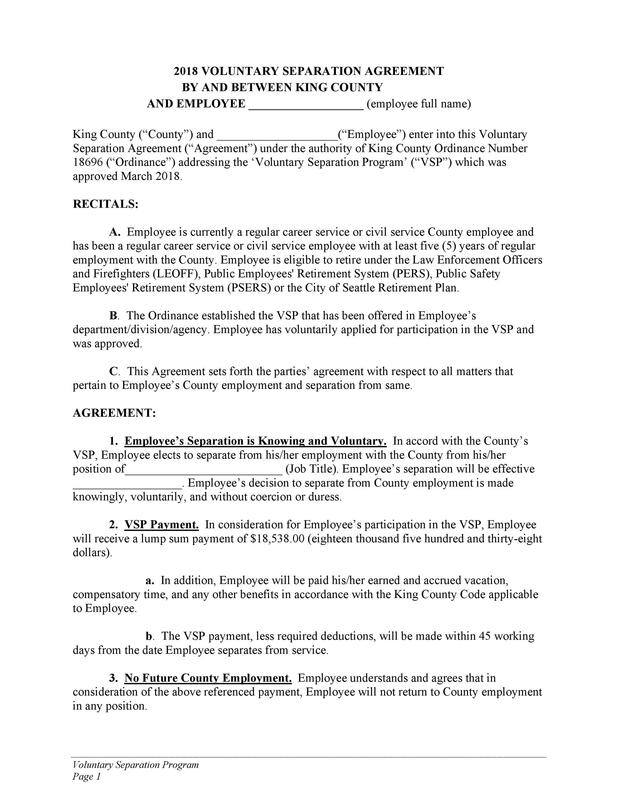 Keep in mind that such agreements have significant and lasting effects. The terms you lay out will determine your finances, lifestyle, and more in the future. 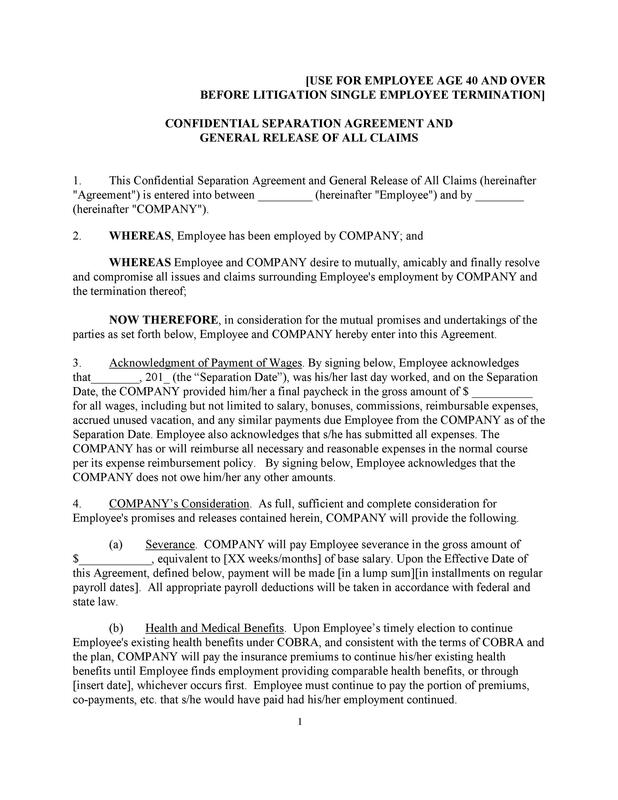 Typically, a separation letter comes from a lot of negotiations and discussions. They focus on the division of the liabilities, assets, and obligations of each spouse. 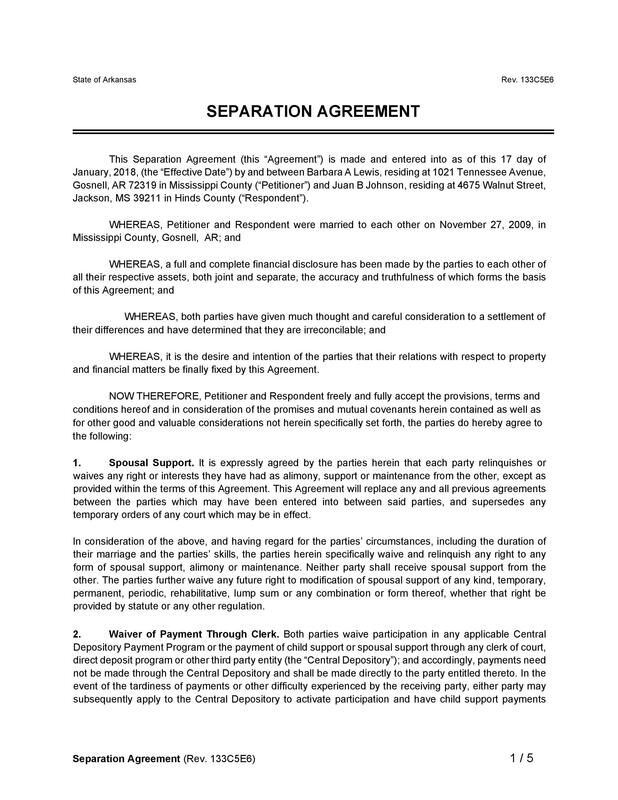 If you’re going through a divorce or a separation, such agreement can be very helpful for you. You can use a template to get an idea of what you should think about and prepare for your negotiations. Bring the template to your lawyer. Do this to ask how you’ll go about the discussion and negotiation with your spouse. You and your spouse can agree to resolve all your major issues prior to your meeting with a lawyer. In doing this, you’ll save a lot on attorney’s fees. This is more applicable when your separation isn’t complicated. One such situation would be if you’ve had a short-term marriage and you have no children. 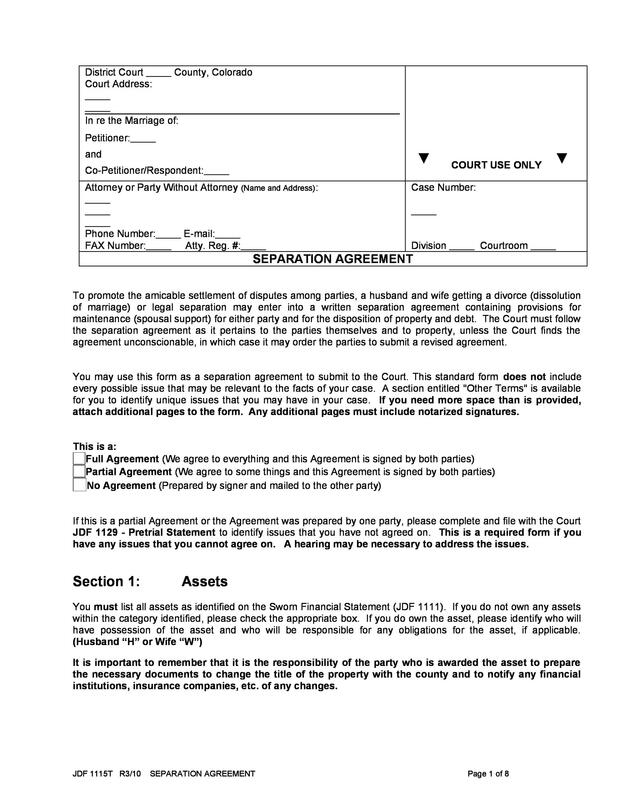 Before you start, you can try drafting a separation agreement together. Do this if you and your spouse are both willing to work on it. Just remember to include child support, parenting, spousal support, debt, and property. Every family and couple’s situation differs. So if you don’t think the information in the template applies to you, just modify it. Then it will suit your own situation and needs perfectly. 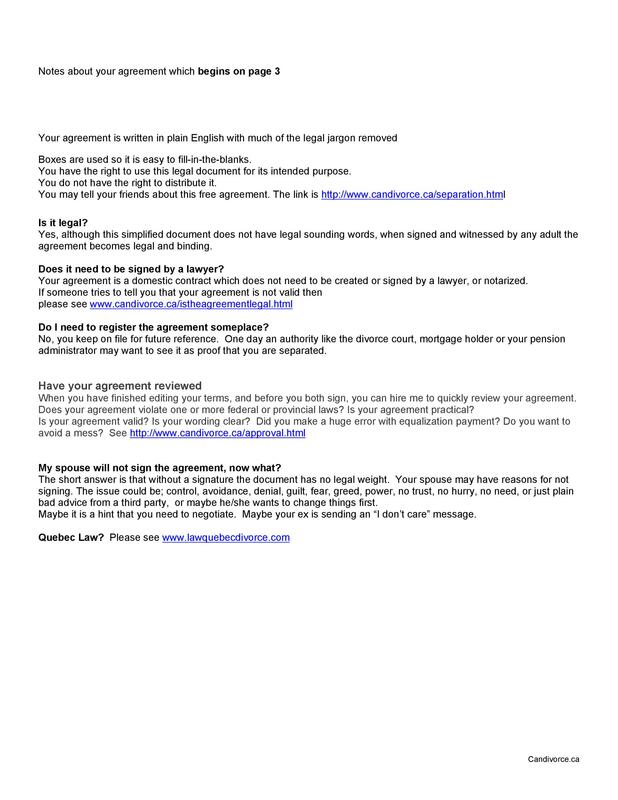 If you have no idea how to make the agreement, it’s better to seek legal advice. Talk to your lawyer before writing the agreement. 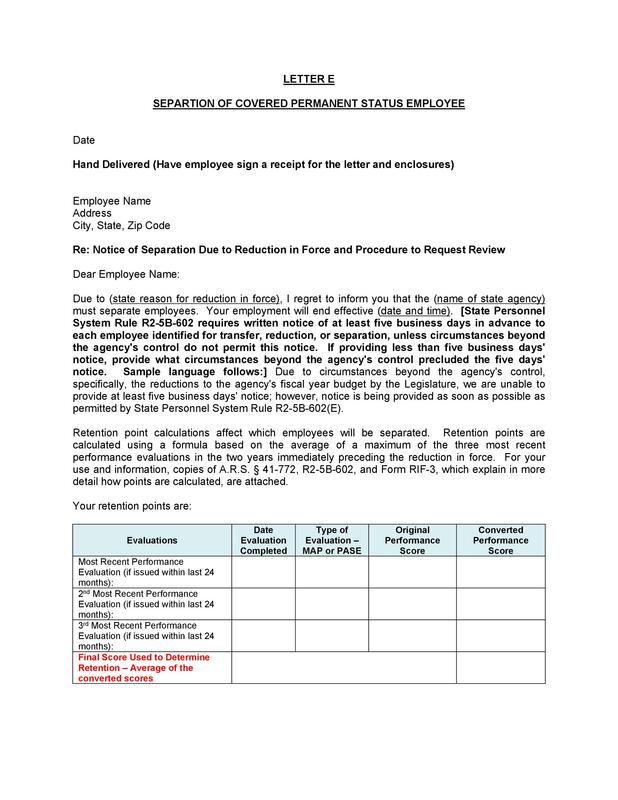 Do this so that you can create a more effective document. Also, speak to your lawyer before you sign an agreement your spouse prepared for you. 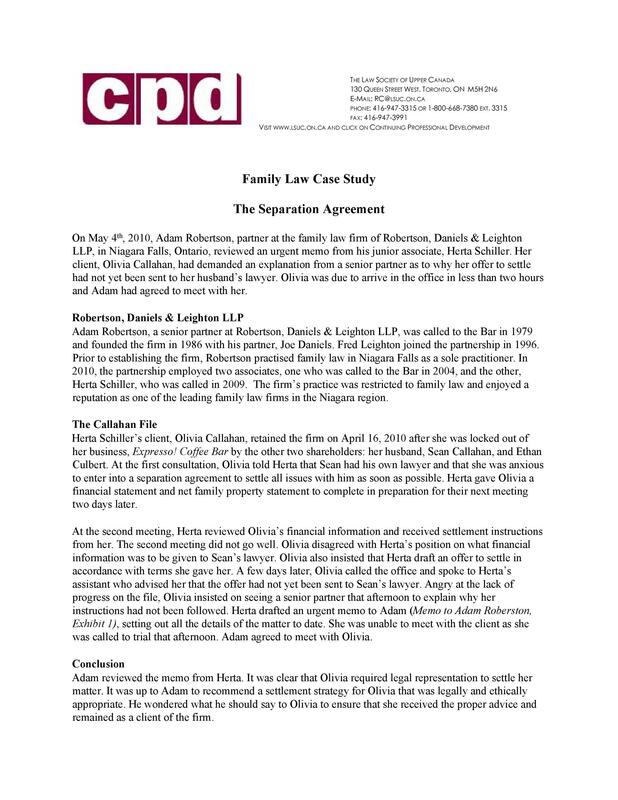 Family lawyers can help you better understand your rights and obligations. If you can’t afford one, speak to family justice counselors. They can also help you draft the agreement well. Downloading a template is very convenient. But keep in mind that they don’t usually contain all the possible issues you need to include. That’s why it’s important to learn about the agreement and speak to a lawyer. This will help you identify all the issues to cover in your document. For instance, you may have a complicated situation in terms of property division. In this case, you need to specify all the details of the division to ensure fairness to both parties. The process of separation can be emotionally challenging. Because of this, it can affect your ability to make decisions. Having strong negative feelings towards your spouse won’t benefit you. It might push you to agree to anything just to conclude matters. Of course, this isn’t wise. 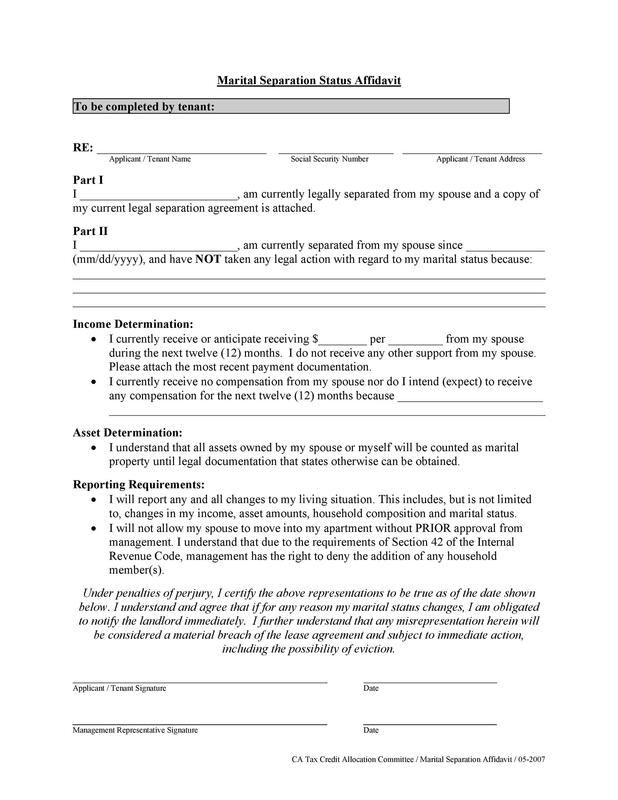 Once you’ve made the agreement legal, you can’t change anything on it unless your spouse agrees. You should think about your future situation and the future of your children too. Don’t make decisions when you’re emotional as you might not be able to think clearly. Also, never sign the document unless you’ve understood and agree with everything on it. A lawyer can prepare your document for you. But it would be a lot better for you and your spouse if you each get a lawyer to do it. 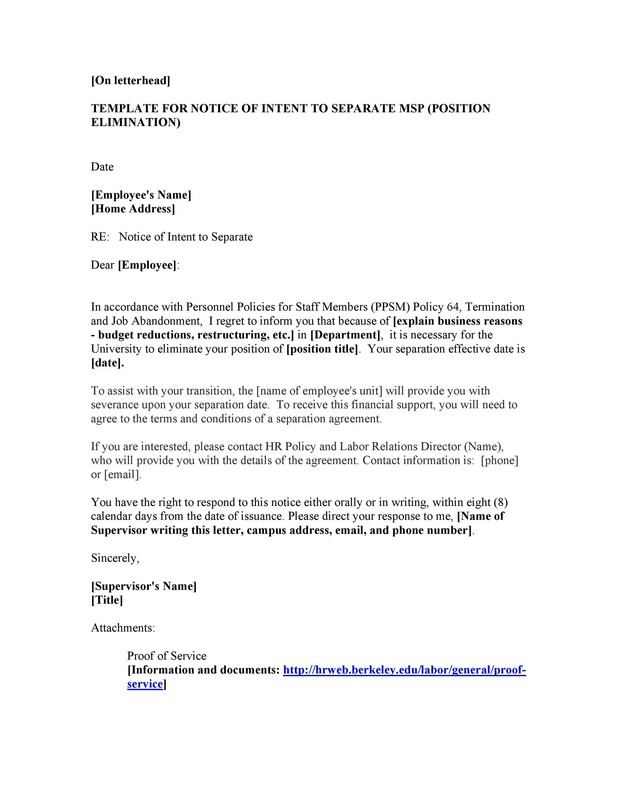 Then you can discuss the terms together in a meeting before making a final document. You can do this if you have the time and resources to hire lawyers from the get-go. Who will hold on to and make use of your marital home? How you will divide the expenses of your marital home once you’re separated. How you will divide all the assets you’ve acquired during your marriage. This includes insurances, vehicles, properties, businesses, accounts, and more. 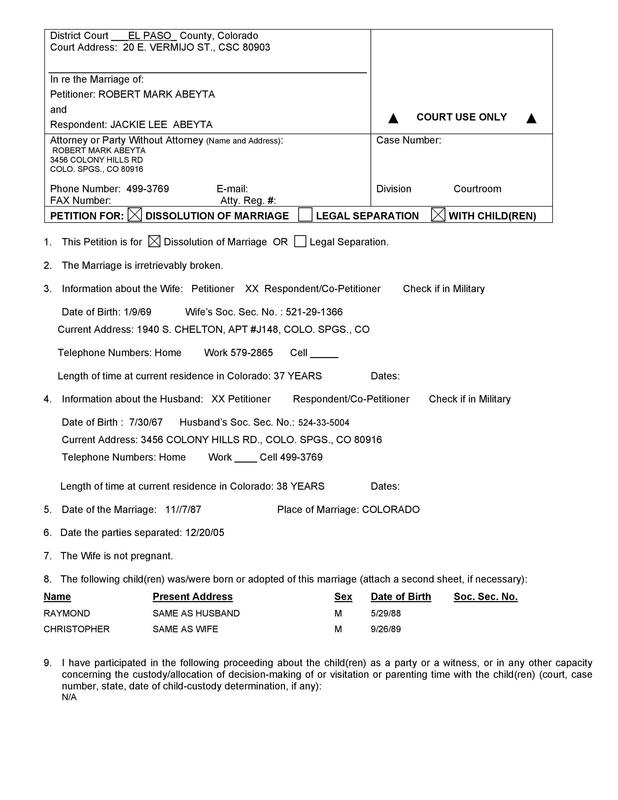 Any terms of support either for the children or for the spouse. If your marriage lasted 10 years or more, the husband may need to pay alimony. Usually, courts want both spouses to keep their lifestyle before the separation. To determine the support, both spouses should list all their sources of income. This includes employment, disability, government income, rental, and retirement. Whether or not benefits like medical insurance will go on during the separation. Everything related to the children such as custody, support, visitation rights, and more. In the US, most of the states recognize such agreements but some don’t. Despite these, the making the document can still help you out a lot. 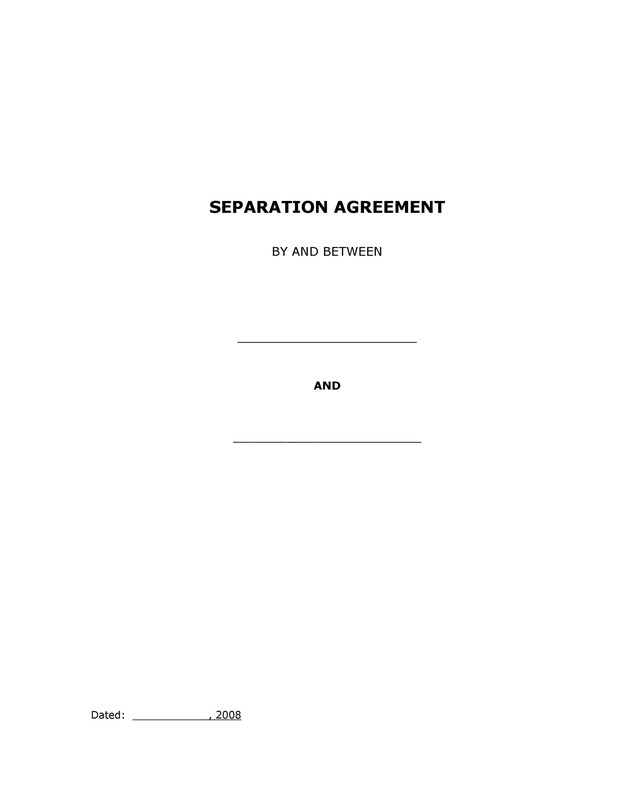 Use it to organize the terms of your separation with your spouse. It’s especially important if you’re also thinking of divorce. When you decide to divorce legally, you need to take additional steps. 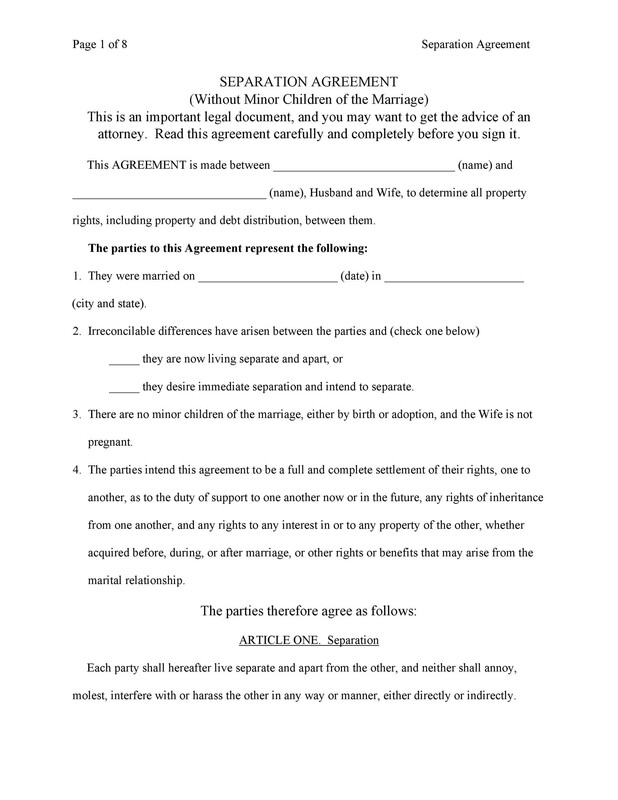 The agreement can serve as a legally binding contract between you and your spouse.